Barbara Palmer, whose philanthropic impact can be seen in the Penn State art museum that bears her name and throughout the Centre Region, died on Sunday at the age of 93. Palmer was a generous supporter of numerous organizations and a renowned patron of the arts. "Barbara will be sorely missed by the State College community," State College Mayor Don Hahn wrote in an email. "Her role in the expansion of the art museum, in itself, has earned her a place in the Penn State pantheon. However, her legacy must also include her generosity of spirit and the inspiration that she provided to the local art community. She was truly one of State College's muses, and one of its graces." A founding member of the Palmer Museum of Art advisory board, Barbara Palmer and her husband, James, made the lead gift in 1986 that launched the campaign for the creation of the museum at University Park. Erin Coe, Palmer Museum director, said that one of the reasons she accepted the position leading the museum in 2017 was Barbara Palmer's "reputation as one of great private collectors of American art in the country and the culture of philanthropy that she fostered at Penn State and in our community." She added that Palmer is an inspiration whose legacy will last for generations, not only at the museum but in the Penn State and State College communities. "Barbara Palmer’s contributions to the Palmer Museum of Art are unsurpassed. Her caring and generous spirit animated every area of the museum, from her passion for American art that informed the remarkable collection she assembled with her late husband, James Palmer, to the construction of this outstanding facility that bears their name," Coe said. "Her legacy extends beyond the museum walls through the steadfast support and encouragement she continually demonstrated to this institution. 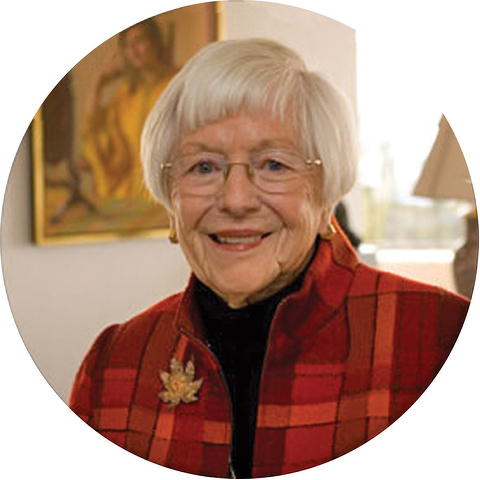 Moreover, as a founding member of the Palmer Advisory Board she offered wisdom and counsel that informed our present and future direction. Barbara set a high example of philanthropy and personal engagement that in turn inspired our entire community. She will be greatly missed and we will cherish and steward her legacy." The Palmers private collection will be donated to the museum, joining numerous other pieces they donated over decades. Born in Baltimore, Barbara Rader attended Iowa State University, where she graduated in 1946 and met James Palmer. They married in 1948 and moved to State College in 1953. James was the president and CEO of C-COR Electronics and Centre Video, now Comcast, for 25 years, while Barbara served on the board of directors. Together, the Palmers would give millions of dollars as well as time and effort to many organizations in Centre County. Barbara Palmer was named an honorary alumna of Penn State in 1987. The first female president of the Centre County United Way, Palmer was a dedicated supporter of Park Forest Day Nursery School and Centre Volunteers in Medicine and was vice president of the Hemlock Girl Scout Council. She served on the board of Mount Nittany Health Foundation and other boards and committees of the medical center. In 2005 she established a stewardship fund at Centre Foundation. The Palmers gave generously to a wide range of academic and outreach programs at Penn State, including engineering, communications and the University Libraries, endowing professorships and scholarships. They gave to programs ranging from Shaver's Creek Environmental Center, Penn State Public Broadcasting and Penn State Hershey Medical Center, and Barbara Palmer served on the steering committee for the university's Grand Destiny campaign. Coe said that Palmer embodied the true spirit of philanthropy, meaning "love of humanity," and that she expressed that love through her passion for the arts and sharing that passion with the public. Palmer was a major donor to countless artistic endeavors throughout the region and worked behind the scenes to help artists and performers achieve their dreams. She was a supporter of the Central Pennsylvania Festival of the Arts, the State Theatre, Penn State Centre Stage, Penn's Woods Music Festival and the Center for Performing Arts and endowed scholarships for College of Arts and Architecture students. Her close friend Mimi Barash Coppersmith, founder of "Town&Gown" magazine and Penn State trustee emeritus, said in 2017 that Palmer's impact can be seen everywhere throughout the local community, and that her generosity predated her business windfall. A memorial service is being planned for the spring. On Feb. 8, Calvary Harvest Fields, 150 Harvest Fields Drive in Boalsburg, will host an exciting night for people 14 and older with special needs. 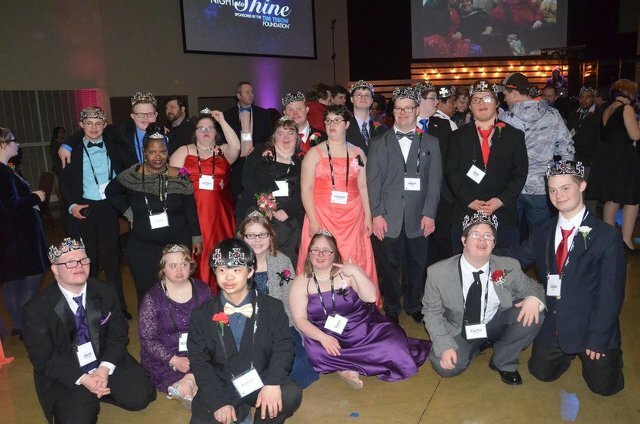 This will be the fifth year, and second locally, for the Night to Shine event — a prom with everything that goes along with it.